Hurricane Michael — a Category 4 hurricane — churned toward the Florida Panhandle early Wednesday as the state and its neighbors braced for the impact. The storm reached Category 4 status in the overnight hours Wednesday morning with winds of 130 mph. The storm is expected to remain a strong Category 4 storm by landfall. 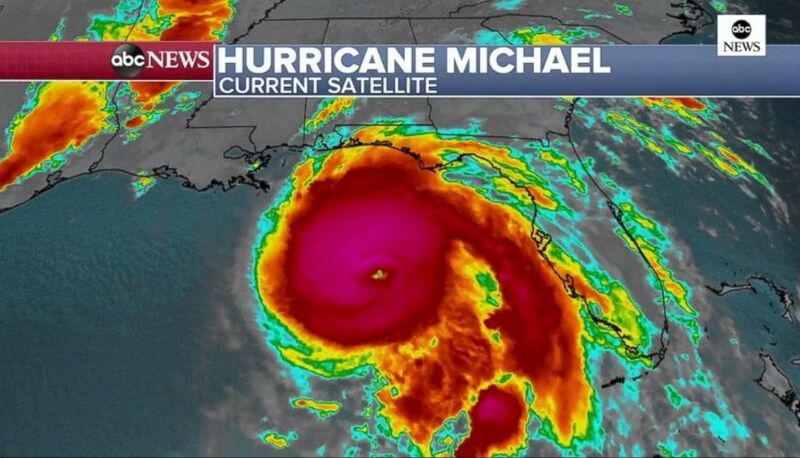 Hurricane Michael continued to strengthen late Tuesday. 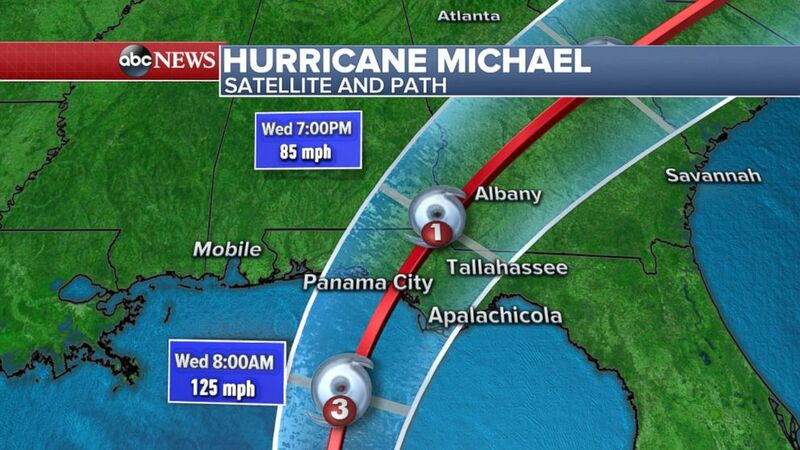 — As of the National Weather Service’s 2 a.m. update, Michael was 170 miles south-southwest of Panama City, Florida. The expected path for Hurricane Michael as of Oct. 9, 2018. — Storm surge of 9 to 13 feet is expected from Mexico Beach, Florida, to Keaton Beach, Florida. — The Florida Panhandle will start to see tropical storm strength winds (over 38 mph) in the early morning hours. Hurricane strength winds are expected during the midday. — Rainfall could reach 12 inches in the Florida Panhandle and up to 6 inches, with isolated totals of 8 inches, in the Carolinas. — Warnings are in effect for more than 300 miles of coastline, the National Weather Service said. 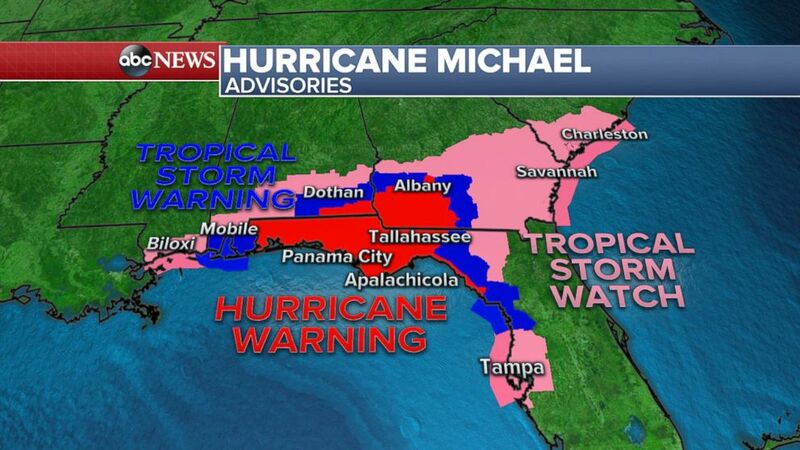 The advisories for Hurricane Michael as of Oct. 9, 2018. — Michael is forecast to stay a tropical storm as it moves through Georgia and into the Carolinas on Thursday. — The storm is expected to move further inland later in the week, potentially bringing rain and heavy wind to portions of South Carolina, North Carolina and Virginia.